How many perfect lovers do you need?! It was clearly an advert for something, but I thought that it might be quite fun to see what it reckoned “the exact name of my perfect lover” would be. I already knew: Jane Ellison Saunders. So I entered my name and clicked the Calculate! button. But it didn’t tell me the exact name of my perfect lover. Instead it took me to an intermediate page where it invited me to sign up for an SMS text service. 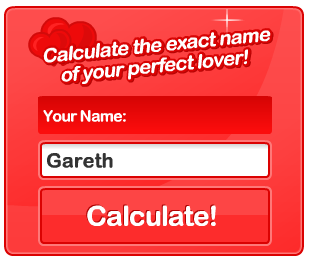 Only after I signed up would it reveal to me the exact name of my perfect lover. I was just about to hit the “Back” button when something in the Terms and Conditions caught my eye. I was curious about the cost of this text service. Nine pounds sterling a week?!! The cost of calculating soulmate’s name is £3. The prediction is charged at £3. Your (sic) will get three predictions each week for £3 each. What precisely was their definition of “exact”? It didn’t sound very exact if it was going to take them three attempts a week to get it correct, at a cost of £3 per text. Seriously, are there really people gullible enough to sign up for such a service? Surely looking up random pages in a telephone directory would be both cheaper and more accurate! You wouldn’t put up with this kind of service if it was your doctor or the plumber. Doctor: I think you might have … er … chicken pox? Doctor: Dunno … could you come back on Wednesday? I’ve just asked Jane what “the exact name of my perfect lover is”. She said: Jane Ellison Saunders. And do you know what? She’s right. And it didn’t cost me £3. 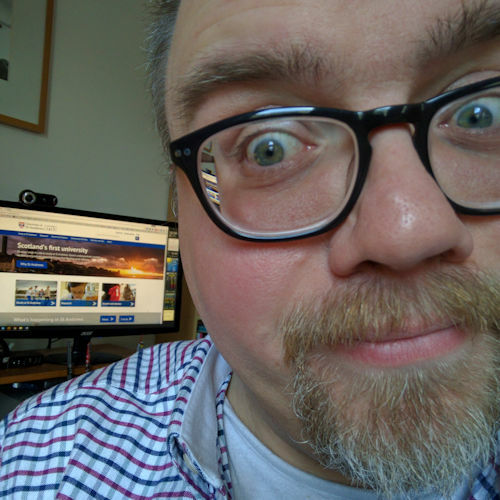 Posted on Sunday 21 October 2007 Thursday 14 December 2017 Categories FamilyTags Family, humour5 Comments on How many perfect lovers do you need? !